TTT is a small company with a HUGE route inventory. We have been in the Cycle Vacation business since the late 90’s, and a lot of our rides have been finely tuned over the years. But we are constantly in search of better, different, scenic and traffic free routes. There are only two of us in the company and we are quite happy running a maximum of 6 trips a year. Some companies run 6+ trips a week or more … all summer long! With TTT you will get fantastic individual service. We do not have a marketing division, nor a Webmaster, nor expensive commercial space, nor 200 bikes in a rented garage waiting to be used. You may get our point. In a nutshell, the person you talk with at TTT via the phone or an e.mail, is the person that not only designs your trip, but is also your guide. Born and raised in Canada, he has been living in Switzerland since 1992 thanks to his Irish passport. He has been running bike tours since 1998 in Switzerland, France, Italy and Austria and has been teaching skiing in Champéry, Suisse, (The Portes du Soleil). He speaks four languages, loves designing bike trips and riding his DeRosa up any Alp. A medical and pharmaceutical background was a natural stepping stone into the bike touring business. English by birth and a cyclist at heart, Janine has lived in Switzerland for 9 years. 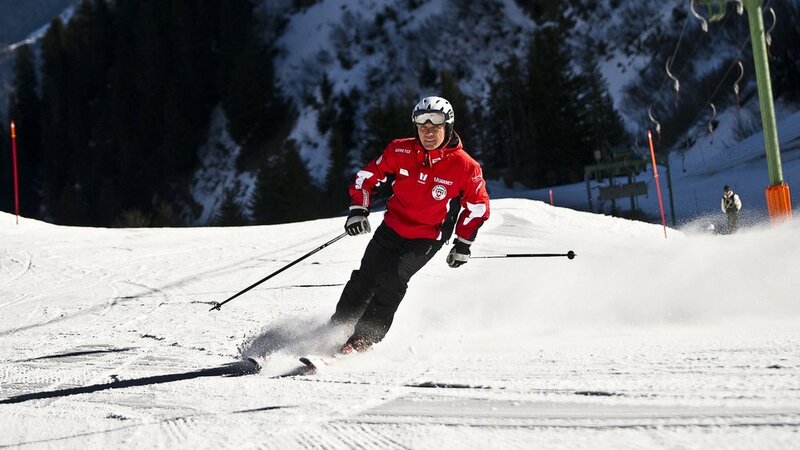 She speaks three languages and loves her Atomic slalom skiis. Favourite place to ride? Anything that goes up. Loves her BMC Road Machine. We do not have a calendar full of empty trips and then hope to populate said trips with random people that find us on the Internet. We run trips only for private groups. Your trip price is calculated depending on the number of trip participants. Meaning that we calculate our per person price by sharing our trip overheads between the group members. Per person prices will therefore vary depending upon the final group size and services requested. Quoted prices are for a group of 6 in double rooms. Our maximum group size is 14. Minimum size is 2. Yes two is a group. If you calculate TTT's "Per Day" price vs the "Per Day" price of other companies you will find that we can cost a lot less than others, yet provide the same or better service. For example, our Luxury Provence trip, costs 2499€ pp. (based on 6 riders) or 417€ per day for the 6 day trip. Some operators charge double or more per day for the same style of trip, and yes, some charge less than us. But "you get what you pay for." Our average hotel is a nice three or four star. Even more rarely we will stay in a two star, mainly for logistical reasons during our Alpine trips. Each hotel is chosen for it’s location, access to great riding and its charm. On some trips we can propose a higher class of hotels if you wish, so if you want to have more luxury (or less), let us know. Our philosophy is that you are here to ride, eat local, drink local and sleep well. Each meal is great. Our restaurants that we use are known for their food, location and service. Some restaurants we have been going to for 18+years! During the week there will be a range of restaurants, so not all will be the same. We want to give you a taste of the area and local dishes and we will never hide you from that experience, nor the locals. We normally include each evening meal in the trip price. Most tour companies always have an "independent" night, meaning that not only do you pay for one night's meal, but you have to find a restaurant! If you wish, wine can also be included in your trip price. We will cover this topic during our pre-trip discussions with the group lead. We have Carbon and Aluminium race frames available and also Hybrid style, (flat handlebars) and we offer E-bikes on most trips. Our quality bikes are sourced locally (to your trip) and from well known bike shops. What this means is that your "recently tuned" bike is not hauled 300+ kms on the top of a van in pouring rain and then given to you after it’s high speed pressure wash. We wouldn’t do that with our own bikes and neither would you. You get a great modern bike that is clean, tuned and from a local bike shop. Call us if you have any questions regarding your bike.